Minamiashigara City is located on the west edge of Kanagawa Plefectture and is a beautiful town with rich greenery and water, which lies at the foot of Hakone’s somma. 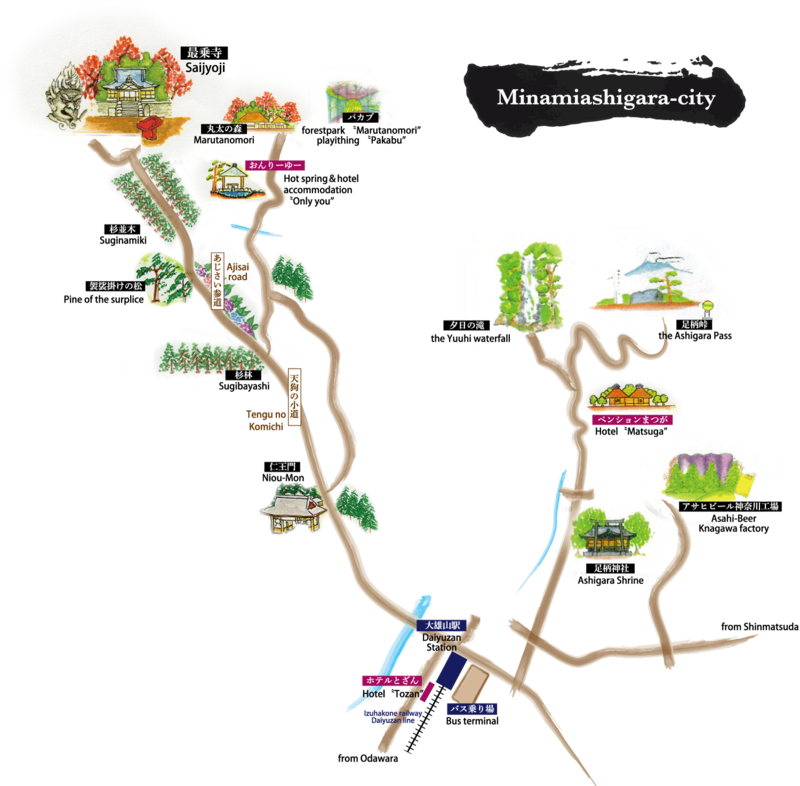 The south side of the city touches Odawara city and the urban area is formed around Izuhakone Daiyuzan Line and Karigawa River which flows at the center of the city. It is the distance in 80km ronge from Tokyo and it takes about one hour when Shinkansen or Tomei expressway is used. 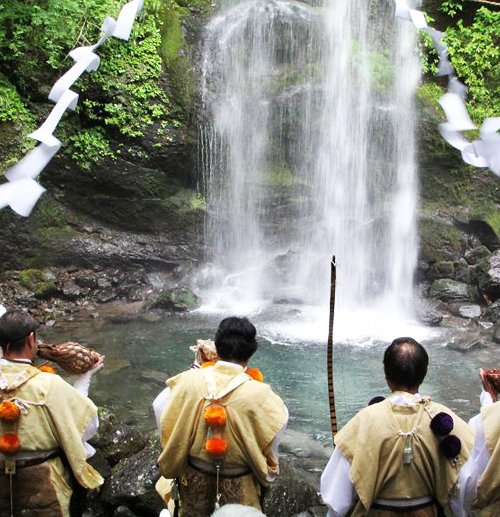 The city is also given historical cultural heritages of Kintaro legend, Manyoshu and so on. We cherish the nature, blue sky, green forest, bright sunshine, and reflections from the water which shower our town. This is land where Kintaro was born and raised. Smile and deright of children cover the entile town. The Kintaro legend of the Mt. Ashigara is well known on a nationwide scale in Japan. It is being told that Kintaro who appeared in the song as “it is Hakkeyoiyoi-Nokotta in recesses of the Mt. Ashigara” played with the animal by using the water of baby’s first bath of the Waterfall of Evening Sun at “play Stones of Kintaro” on the downstream of waterfall. 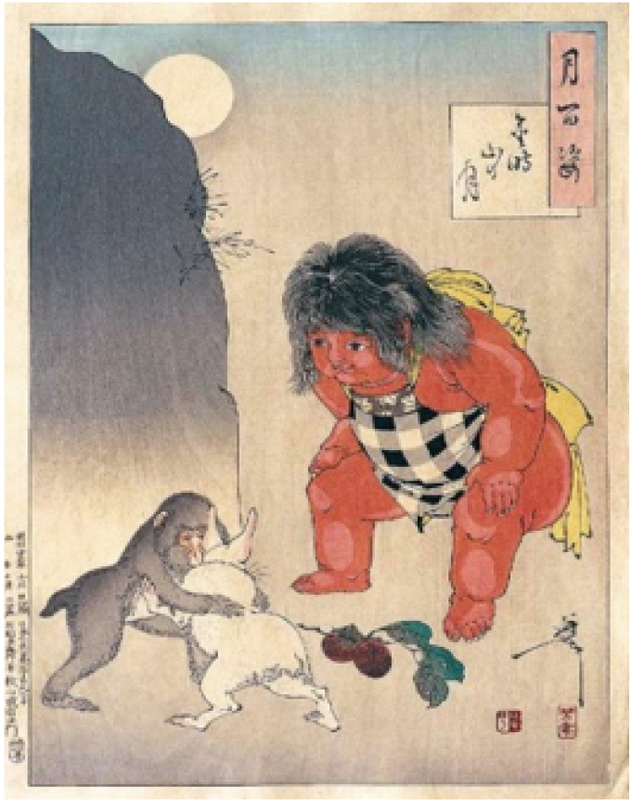 Kintaro was a child with a vigour being told that he had thrown down the bear in the nature. After he grows up, Kintaro became the vassal of the general of Minamoto- no-Raiko and introduced himself as Sakata Kintoki, and he left wondeful distinguished sevices as one of four kings. You can see verious flowers and wild birds through four seasons at the “Maruta-no-mori”. There are also verious playing equipments such as Tarzan-Rope and Jungle gym for children. 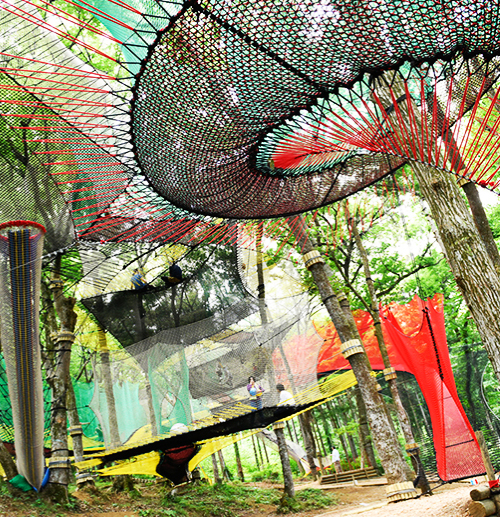 Parcabout is a strange net which is floating in a forest and you can enjoy jumping, playing airborne soccer on the net and slipping down in a net tube. Parcabout is an adventure zone in the air which was born in a small island “Groix island” in France. Parcabout in Japan exists in the “Maruta-no-mori” in the “Ashigara Forest Park”, about 20 minutes by car from the “Oi-matsuda IC” of the Tomei Expressway.. The 23-meter -high waterfall on Uchikawa river. Legendary Kintaro took his first bath as a new-born baby. The fall and surroundings are beautiful with the flesh green leaves of early summer and the crimson foliage in fall. 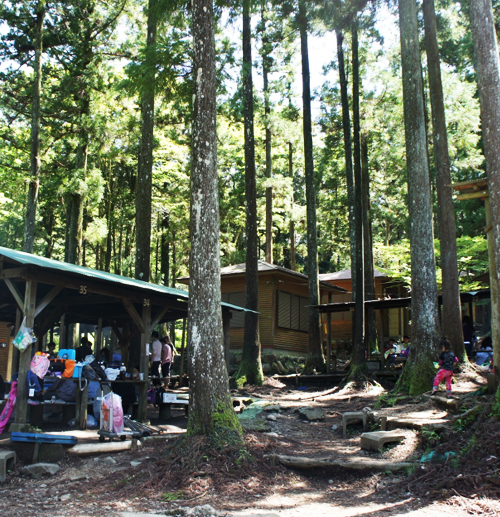 In “summertime, the camp” ground is opened and the area is enjoyed by people playing along the river. Factory tour is free of charge and you can also taste 3 glasses of draft beer just made. 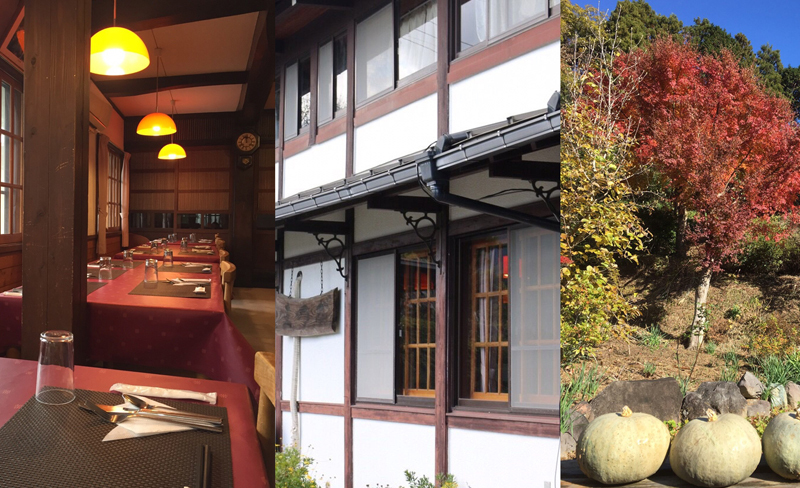 MATSUGA is a hotel existed at the foot of Ashigara mountain which has abundant nature. Dishes with the vegetables in season harvested at the private farm are offered and you can enjoy harvest experience of blueberry in summer. 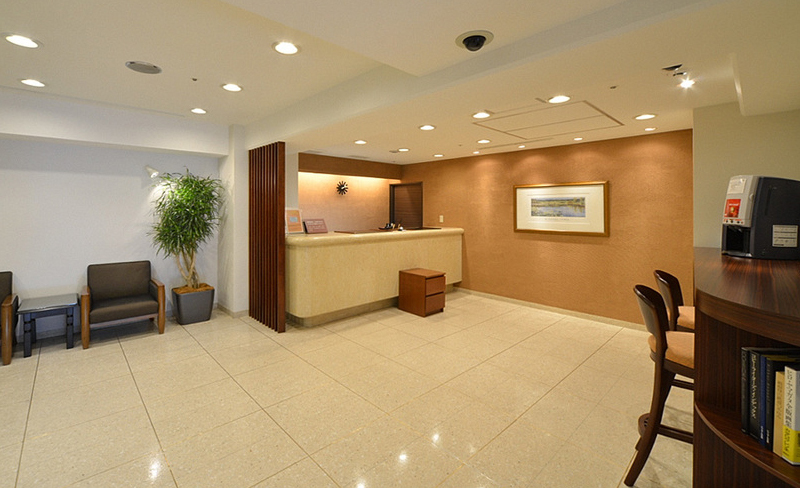 Hotel TOZAN is the biggest hotel in Minamiashigara city and it is convenient for leisure use as well as business use. Wireless LAN is available in all the rooms. The hotel is located next to Daiyu-zan station of the Izuhakone Railway. 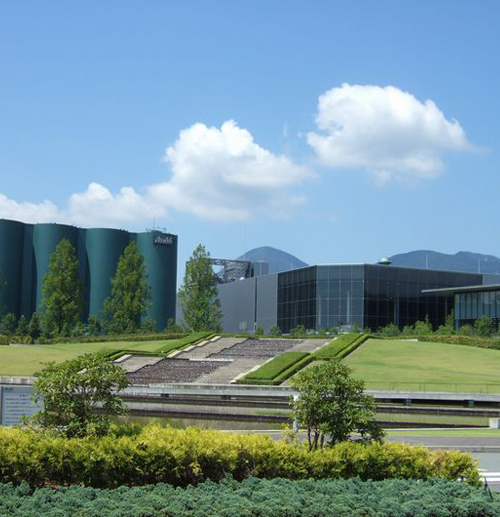 Only 10 minutes by car from the Oi-matsuda IC of the Tomei Expressway. Free of charge parking lot is available. Barrier free rooms for handicapped customers are also available.